I get to meet some very inspiring people during my exploration of Africa’s wild places. And almost all the guides I meet are inspiring. Honest Siyawareva is no different. I knew I was going to enjoy hanging out with Honest as soon as I saw a copy of Ian Player’s “Zululand Wilderness – Shadow and Soul” on the seat of Honest’s Toyota Hilux. This book had an immense impact on me. Honest is based at Little Ruckomechi camp in Mana Pools, in the Wilderness Safaris concession in the north-west of the famous national park. He was born on Fothergill Island in the middle of Lake Kariba. You’ll struggle to find a wilder place in Zimbabwe. 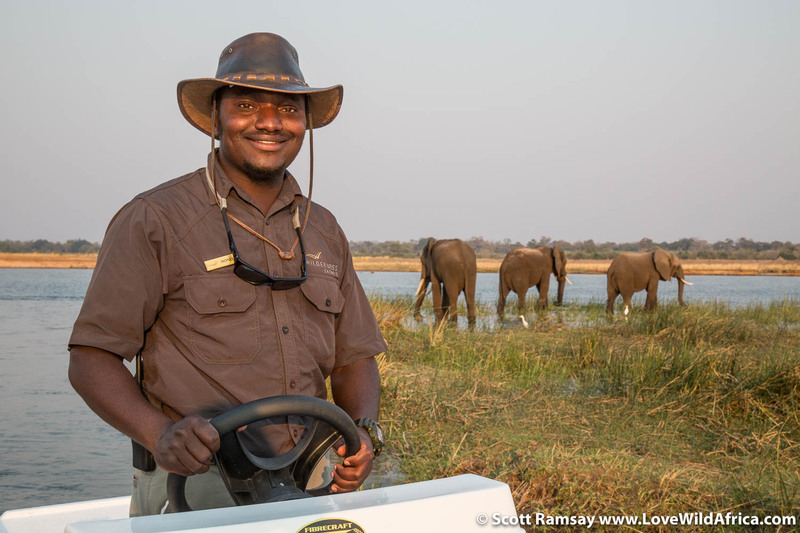 He’s the son of the well-known Benson Siyawareva, who is renowned as one of the finest guides in Zimbabwe. Honest’s uncle was Foster Siyawareva, who was one of the first black professional hunters in the country. Honest was mentored and trained by both his dad and his uncle. 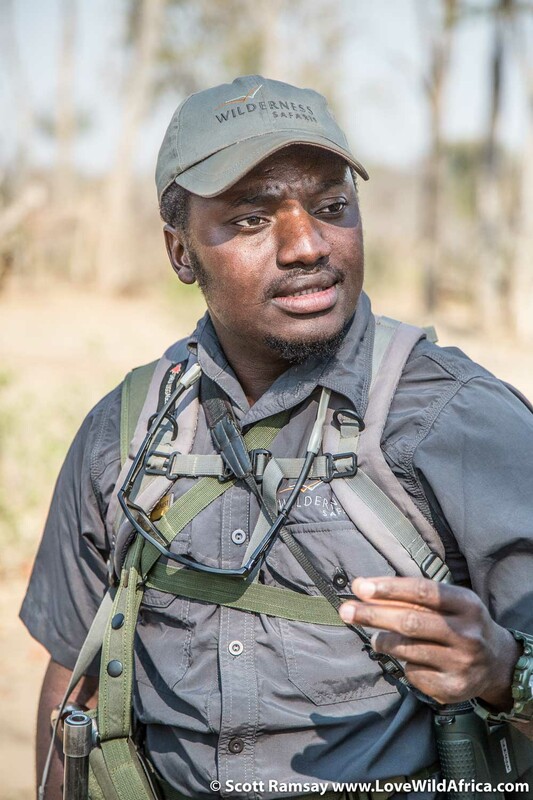 Honest Siyawareva is just 28 years old, but when you’ve grown up in a family as bonded to the bush as his, you soon realise that Africa’s wildness flows in his veins, and his knowledge and intuition is immense. It’s something that can’t be taught…you almost have to be born with it. Like all great guides, he is totally in tune with what the wild animals are doing – and even thinking. The subtle behaviour of a nearby elephant gives plenty of clues to it’s intentions…and Honest picks all of it up, and ensures that his guests get the most of out of their safari. I quizzed Honest about some of his most memorable sightings. “Another time, I saw an African python trying to kill a porcupine…it simple couldn’t, because of all the quills. It gave up, but still it was amazing to see. Honest Siyawareva explaining the finer points of walking in Mana Pools. This is one of the few parks in Africa where you can walk freely, with a guide. Although the animals are somewhat habituated, they’re still wild. Being guided with someone like Honest makes it way more enjoyable – and safe. Smiling because he’s among the elephants of Mana. Job satisfaction is not a problem for Honest! We cruised the Zambezi River, looking for great photographic opportunities…these bulls gave us plenty!